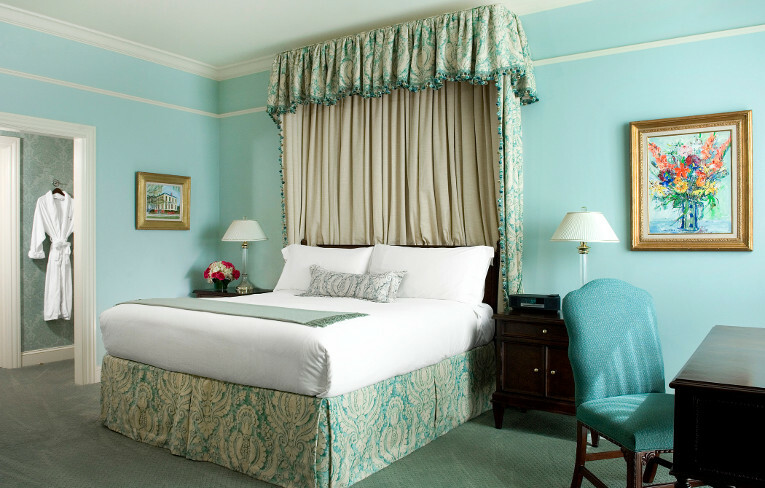 North America more in "Charlotte"
In one of the 214 richly appointed guest rooms and suites feature 10-foot ceilings, bright décor, custom-made furniture designed by montague of london, pillow-top bed with egyptian cotton linens and original artwork. In addition, the spacious marble baths offer a seamless glass shower and separate oval-shaped soaking bath. Ballantyne's on-site dining options include Gallery restaurant & Bar, which features contemporary american fare served in an upscale setting. Guests enjoy resort-style amenities such as a spa, salon, indoor pools, seasonal outdoor pool, tennis, fitness, championship PGA golf course, golf lessons by Dana Rader Golf School and Four Star Dining at Gallery Restaurant. At the Ballantyne, all Guest rooms feature ten foot ceilings, large picture windows, elegant decor, plush bedding with foam and feather pillow options, an executive desk, full length mirror and dresser, mini-bar, coffee maker, dual closets with robes and slippers,Bose Wave® Radio, wireless internet (per day charge), television, spacious marble bath with seamless glass shower and separate oval tub and bath amenities by Remede and Gilchrist & Soames. Gallery Restaurant serves delicious contemporary American fare for breakfast, lunch and dinner daily. The inspired menu changes seasonally to provide fresh, regionally grown accompaniments. Veranda is located in the main lobby and is open daily for coffee and pastries, as well as mid-day to evening bar service. Enjoy outdoor, covered seating with beautiful views of the property. The Golf Club at Ballantyne is a public, championship PGA golf course located at The Ballantyne Hotel & Lodge in Charlotte, North Carolina. The Golf Club provides exceptional daily play year-round. 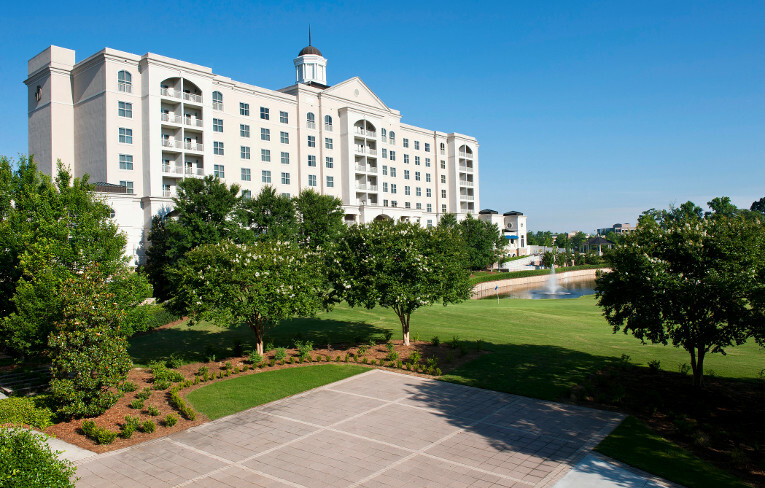 The Ballantyne has an experienced team of Certified Meeting Planners and industry experts that will work diligently with you throughout the planning process to create a successful meeting and event. Select from over 30,000 sf of elegant indoor and unique outdoor venues ranging from boardrooms and meeting rooms to elegant ballrooms and picturesque lawns. The Spa at Ballantyne provides a sensory experience created to soothe the senses and enhance wellness. With a menu inspired by nature, treatments are designed to nurture the mind and body through the use of ritualistic methods, healthy products and a calming environment; visitors enjoy a public day spa with resort-style amenities.